I had never really done much with felt until I came across Bugs and Fishes. I made the lucky underwear badges and I was hooked, I found I loved stitching on felt. 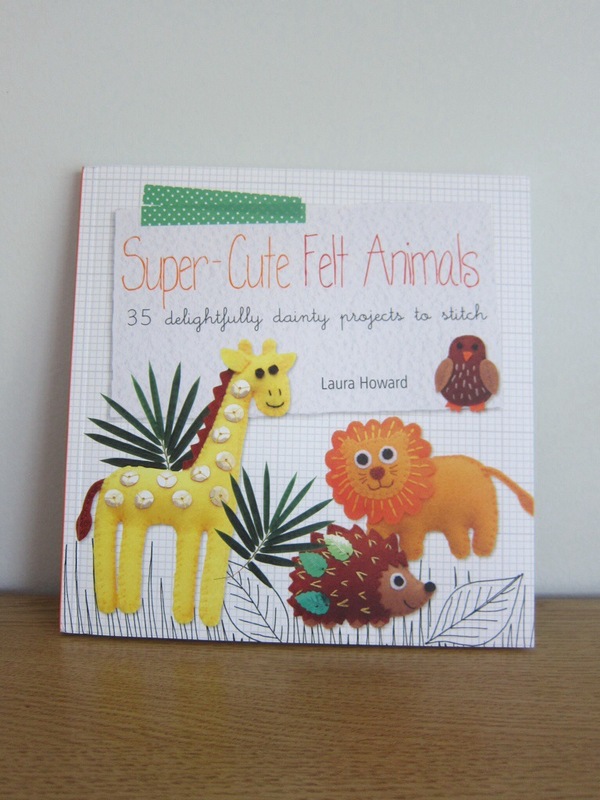 So when I had the opportunity to get a review copy of Laura Howard’s book, Super-Cute Felt Animals: 35 Delightfully Dainty Projects to Stitch, I was beyond excited. I knew that for my review I wanted to try out a project, so I asked Evie which one she liked. Of course she picked out eight different ones because they are all so adorable that she couldn’t choose just one. 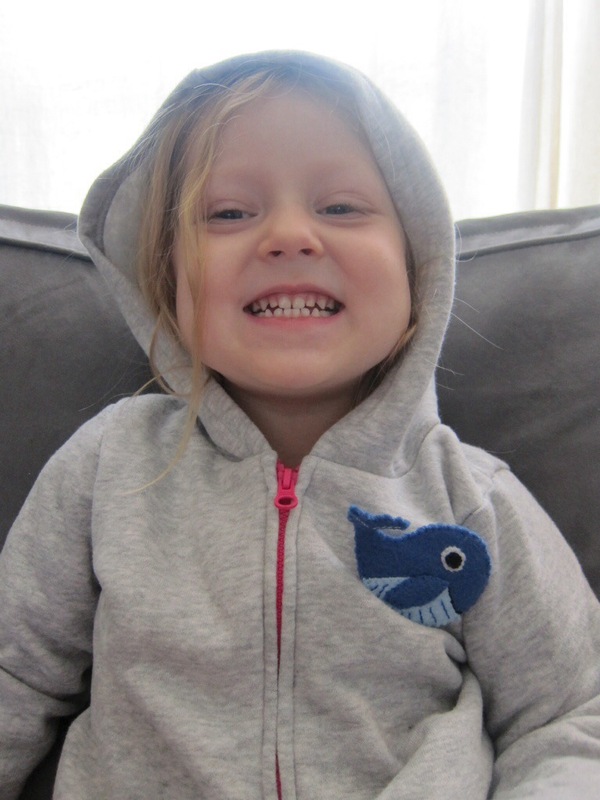 So I decided to pick for her and went with the whale. 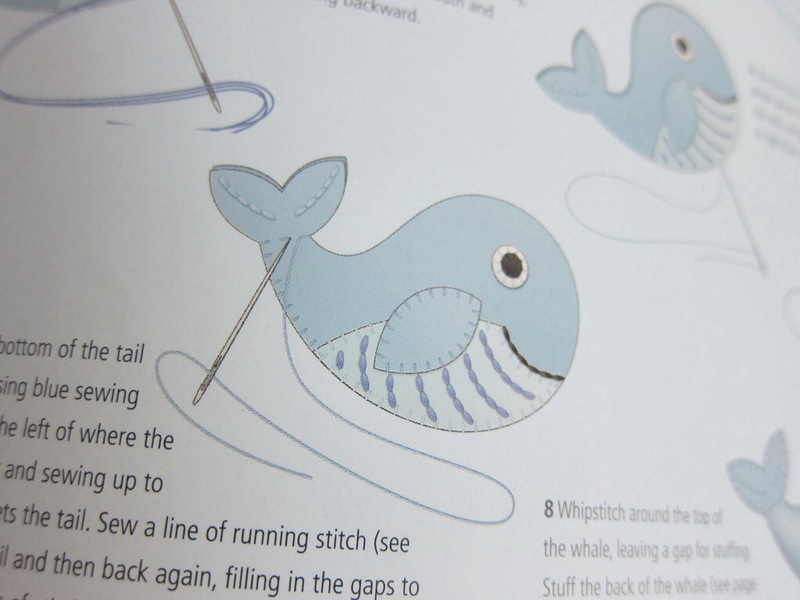 The photos in the book are combined with really adorable illustrations which make it so much fun to look at. 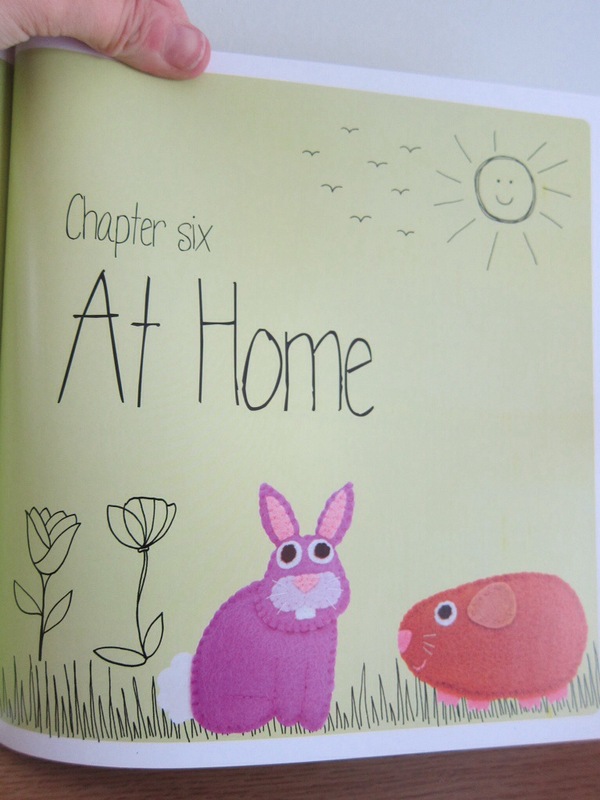 I love that each animal has a name, it really adds a personal touch to the book. I’ve been doing a lot of felt projects lately and learned a lot of techniques for things I could be doing differently to make things easier. 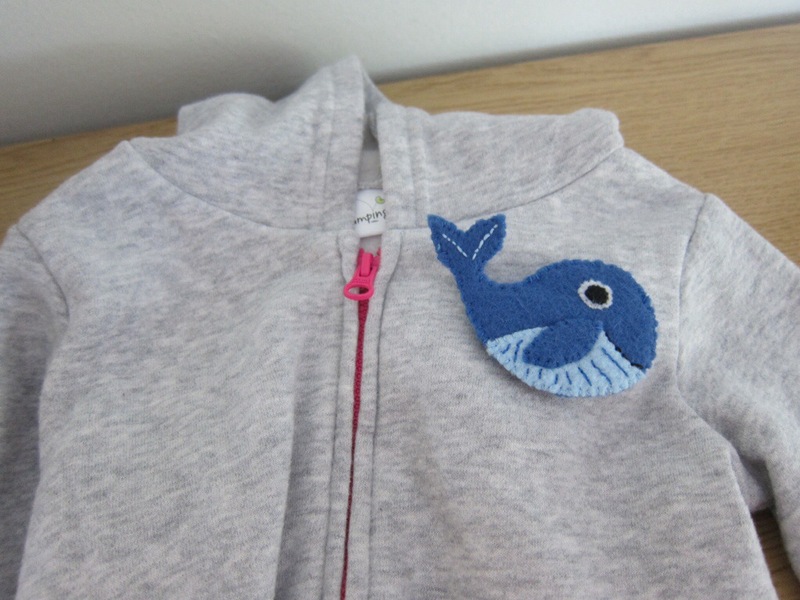 She has included a section on ways to adapt the projects to make different gifts, I decided instead of stuffing it for a little plush, I wanted to make the whale for Evie to wear on her sweatshirt. I wasn’t sure about sewing it directly to the sweatshirt, I’m not sure how felt washes, so I followed the instructions to make it into a pin. I have really enjoyed using Laura’s online tutorials, but I absolutely loved having working from her book. There is something you can’t get from looking at a website, something that only comes from having a physical copy of the book to look through. I was teetering on the edge of felt addiction before, and Super-Cute Felt Animals gave me the push to the other side. Her first book, Super-Cute Felt is officially on my wish list and my pile of felt just keeps growing. Laura Howard did an amazing job with this book and I can’t wait to make even more projects from it.